Just as the current iPhone form factor is about to be supplanted, Apple has released a special (PRODUCT) RED bumper for the iPhone 4 and 4S. Like all of Apple’s (PRODUCT) RED products, a percentage of the $29 purchase price is donated by Apple to charitable organizations combating AIDS in Africa. The PRODUCT (RED) campaign, founded in 2006 by musician and activist Bono, partners with various retailers to offer special edition products from which a percentage of revenue is directed for charitable purposes. Aside from Apple, participating companies include Nike, Starbucks, Beats Electronics, Gap, and Hallmark, among others. Participating companies pay the organization a licensing fee in order to brand their products as “(PRODUCT) RED.” They then pay a variable and undisclosed portion of the sales of those products to the Global Fund. Companies get the benefit of marketing themselves as socially active and the charitable group receives additional revenue. 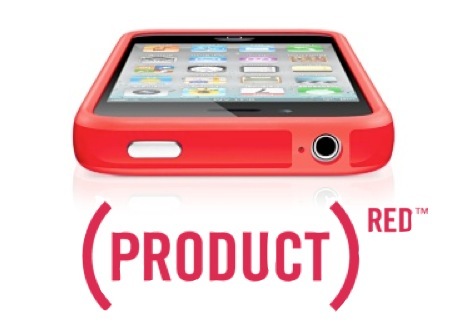 Today’s release of the (PRODUCT) RED iPhone bumper is the latest in a list of participating products over the years. Apple has released several iPods, cases, and gift cards during its participation in the program. The (PRODUCT) RED campaign is not without criticism; many participating companies have been accused of using the campaign for marketing purposes while donating relatively little money to the actual charity. Others claim that the organization is an unnecessary and costly intermediary between donors and charity, and concerns have been raised about the organization’s transparency. It is widely expected that the next iPhone will have a different form factor than that of the current iPhone 4 and 4S, so only users who don’t plan to upgrade next month should consider the (PRODUCT) RED bumper. On the other hand, if you don’t plan to pick up an ‘iPhone 5’ and instead hope to take advantage of some nice discounts on the current crop of iPhones, the RED bumper is a stylish addition to Apple’s minimalist case lineup.